It is not easy to deal with a locked computer. When you are locked out of Lenovo ThinkPad laptop by the password that you set yourself a month ago it can be very disheartening! This happens too frequently to a lot of users all over the world. 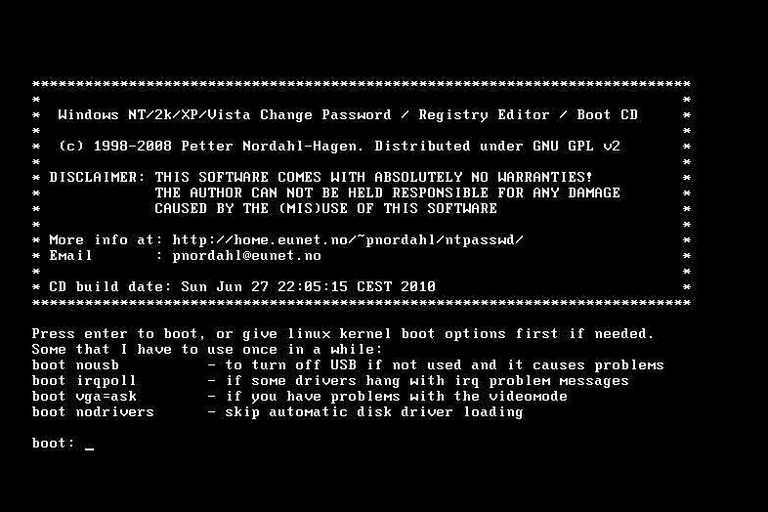 Most people think that it will be very difficult or close to impossible to bypass a locked Lenovo laptop but it is not. If you are wondering how to unlock Lenovo laptop then you should know that it is very simple, you just need to get acquainted with the methods properly. 3 of the most effective methods are discussed below in details. Read them carefully to get access to your Lenovo ThinkPad laptop again. If you are also connected to the secure Microsoft Account through your email then you will have no problem to unlock your Lenovo laptop. This is the easiest method that you can use if you have your Lenovo laptop locked out. Step 1: Open the Lenovo laptop and in the login screen click “I forgot my password”. You also have to enter the provided captcha code, read it and then type it and click “Next”. Step 2: Then, the Account Recovery Wizard will appear on the screen. Step 3: Microsoft will verify your account by providing the first few letters of your email ID, you have to complete the rest and then click “Send Code”. Step 4: Now, simply recovery the code from your email account, enter it and click “Next”. 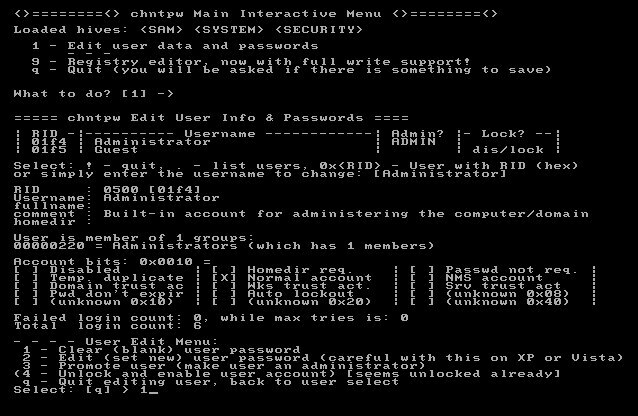 Now, the Password Reset Window will appear on the screen where you have to type the new password and click “Next”. And that’s it! 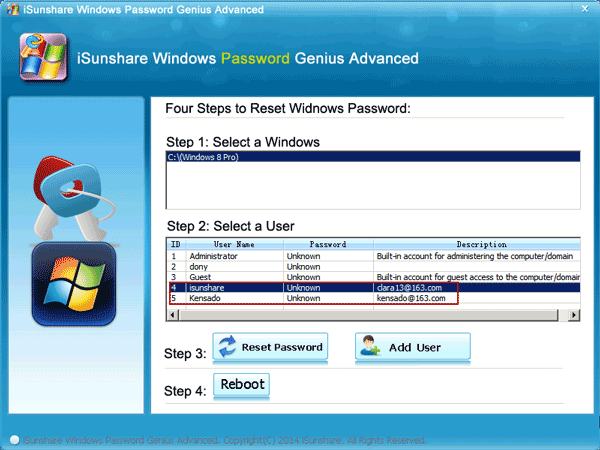 You will be able to login in Lenovo laptop with the new password. 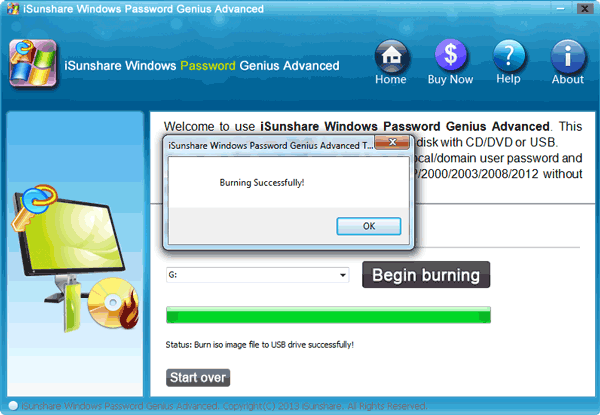 Another very effective way to unlock Lenovo laptop is to use a third-party password recovery tool. These tools are very effective and capable of unlocking any Windows computer in a matter of minutes. 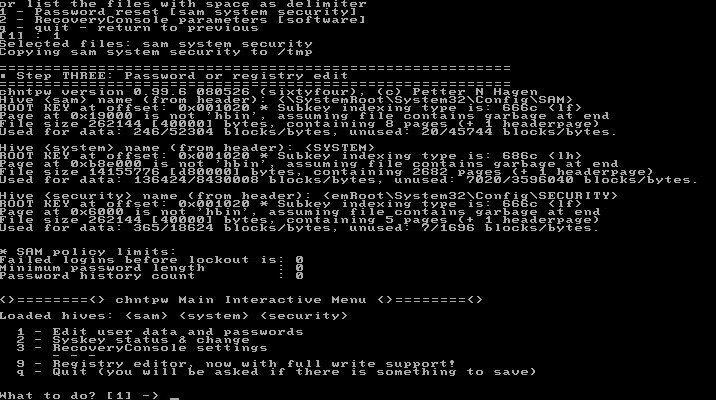 So, the recovery tool we are going to use is Windows Password Recovery! You won’t be able to directly use the program but you need to make a recovery disk using the program and then that recovery disk will unlock if you got locked out of Lenovo laptop. 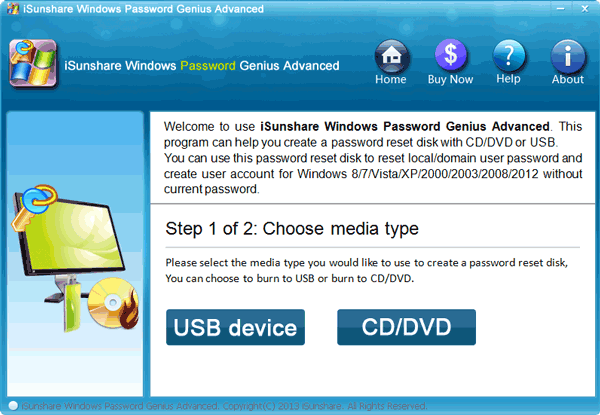 Step 1: Download and install Windows Password recovery on a computer and then launch it. Step 2: Connect a USB drive to that computer, you are going to convert that USB drive into a recovery disk. Step 3: In the software interface, click “Begin Burning” and the program will start the operation. Step 1: Now, you need to connect that USB drive to the Lenovo ThinkPad laptop. Step 2: Now, simply reboot the locked laptop and when the startup screen is visible start hitting the “ESC” button or “F12” key on your keyboard. Step 3: It will open the boot menu, select your USB drive and tap “Enter”. 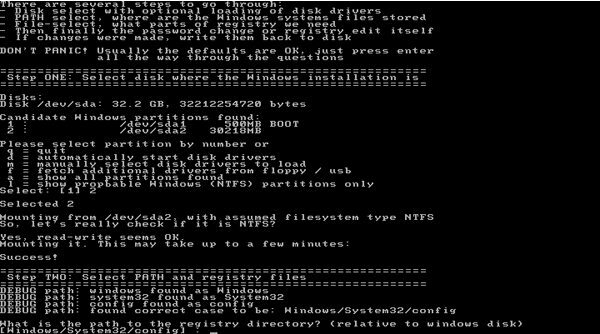 Step 4: The recovery tool will load on the laptop after loading is complete you need to select your Windows system and then the locked user account and click “Reset Password”. The Windows Password Recovery Tool will take only a few minutes to unlock your Lenovo ThinkPad laptop. Don’t miss this software! 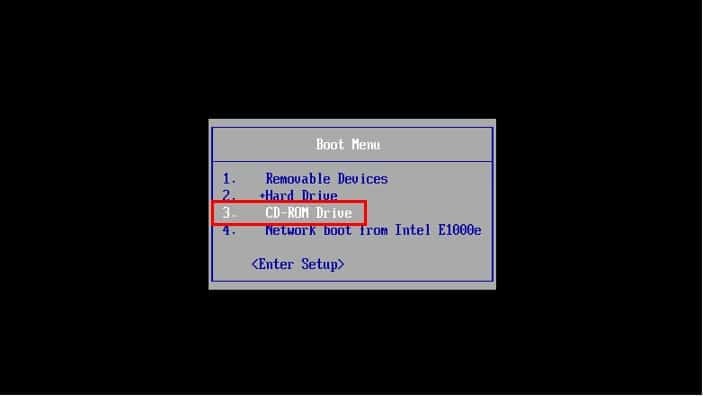 Step 1: Insert the USB drive to the locked computer and then access the Boot Menu. Step 2: Select the USB drive and you will see the Windows Password & Registry Editor Home screen, tap “Enter”. Step 3: Now, you need to choose the partition where Windows is installed and then press “Enter”. Step 4: You will be asked to enter the exact location of the Windows Registry, press “Enter” to choose the default path. 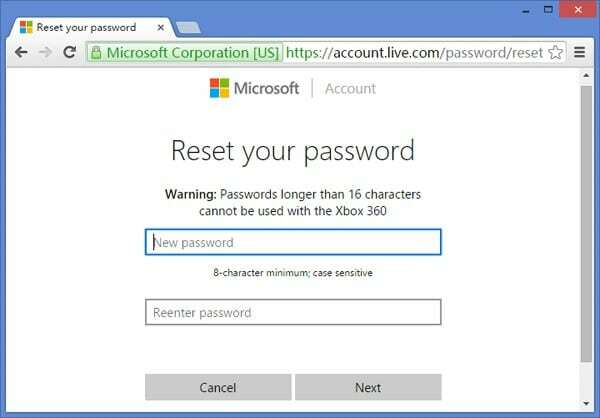 Step 5: Select, “Password Reset” and press “Enter”. Step 6: Select “Edit user data and passwords” and press “Enter”. Step 7: Provide the username for the locked account and then press ‘Enter”. 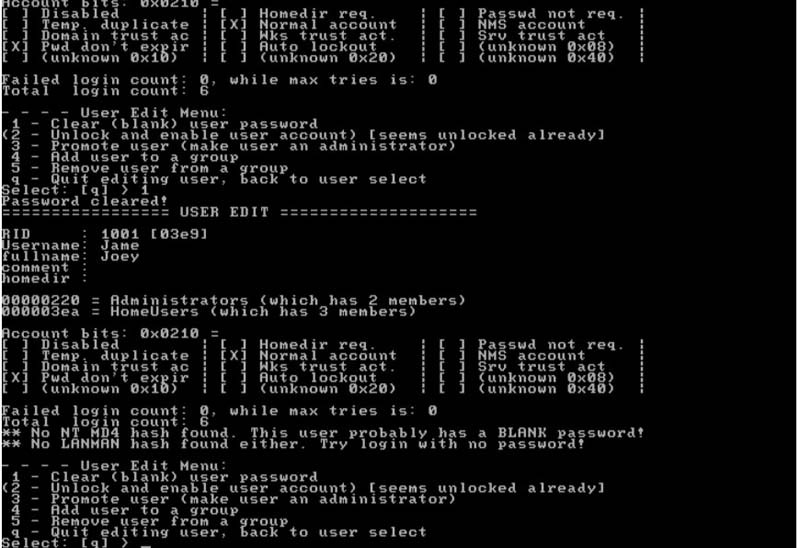 Step 8: Enter 1 to clear the user password and press “Enter”. Step 9: Type “!” to quit and then type “q” to quit again. Step 10: Now, you need to confirm the changes, so, type “y” and press “Enter”. If you have finished with the process then you will be prompted and then press “Enter”. The procedure is complete, you just need to restart the Lenovo laptop and disconnect the USB drive. Thankfully, you won’t have to look for help, saying “locked out of my Lenovo laptop” anymore. Any one of the discussed methods above is capable of unlocking Lenovo ThinkPad laptop very easily. It is completely dependent on you to choose which one seems most efficient to you. Although as per our opinion, you will get a guaranteed result if you go for Windows Password Recovery, it is a third-party tool but the recovery rate is excellent. Highly recommended!